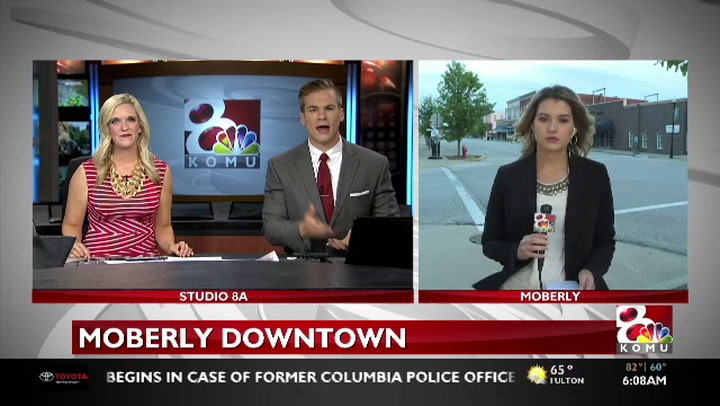 MOBERLY - Moberly's downtown district could be receiving a facelift in the near future, and the city is holding a meeting to get feedback from the public. City officials and local contractors are holding an open forum Thursday from 6 to 7 p.m. at Moberly City Hall to get the public's opinion on what renovations are needed in the downtown area. Adam Flock, the contractor hired by the city for the Historic District Design Guidelines Project, says the city is considering rehabilitating some of the city's historic buildings, as well as designing some new residential areas. The city is also considering making the historic district more appealing to pedestrians and bicyclists by beautifying the area with landscaping and reconstructing the sidewalks. Flock hopes the project will get the community more interested in the historic district. "Once people see activity happening, they realize that they can do it too, and it gets the snowball effect happening." Dale Sosniecki owns a Hallmark store downtown that has operated for almost 50 years. He said he has seen a change in the historic district over the years, but is hopeful for what the future may bring. "We have a lot of young Moberlians who are investing in historical buildings, renovating them right now, so the momentum is going. We just want to see the momentum continue." Main Street Moberly, a group working to bring more interest to the historic downtown area, has been working closely with the city on this project. Diane Richardson, the executive director of Main Street Moberly, hopes the collaborative effort will help the project be more successful. "Before you can really move forward and know where you're going in your planning, you have to know what your history is so that you can continue to build on that." Once the project is finalized, Flock estimates the price of the renovations could go into the tens of thousands of dollars. But he said the project would be completely paid for through a grant from the Missouri State Historic Preservation Office and money already set aside for this purpose by the City of Moberly.